Marketing on the Fly: Are You Prepared? Real-time marketing, which speaks to and involves the audience is becoming increasingly popular and effective. This year, we’ve seen brands capitalizing on this trend, from Oreo’s infamous Super Bowl tweet to companies finding a meaningful way to participate in conversations about the Oscars. Relevance is the key to real-time marketing that works. This newsletter will help you stay on top of the latest trends and tactics for creating an integrated SEO, content marketing, and social media strategy. We encourage your feedback, so please connect with us on Twitter, Facebook, or our website. If you’re looking for more helpful Internet marketing tactics, be sure to visit us at TopRankblog.com. Women still hold the majority of Community Manager positions, although men are making gains, accounting for 39% across the U.S. This is a marked move towards gender neutrality compared to 2010, when just 31% of Community Managers were male, according to the annual Community Manager Report from Social Fresh. Their data shows that CMs might be more mature, or at least a bit older, than the stereotype indicates: the average age of a CM was 29 in 2011, but expected to reach 32 in 2013. Google has just released a blog post and infographic sharing insights into consumer shopping behavior over the recent 2012 shopping season. In many cases, Google said consumers discovered a business on one device, for example on their smartphone while in a store, and would then engage further with that business on another device at a later time. Tracking the 53 commercials from kick-off to the final play, Search Engine Land’s Vanessa Fox found that over 80% had an online CTA. Interestingly, those commercials released as teasers online ahead of the game most often used their Facebook URL as the call to action, while commercials aired on TV were more apt to direct viewers to the Twitter account or a hashtag. Who ever said only B2C brands get to be popular on social networks? The two companies sitting atop the Social Effectiveness Index just happen to be B2B brands Honeywell International, an aerospace and defense contractor, and financial services company, American International Group. MetLife, Aetna, Chevron and Walt Disney all made the top ten. Many marketers possess core knowledge, but they’re often missing confidence on the why, what, who and how of social media that can advance customer and business goals. Answering those concerns is one of the reasons why this new eBook from Dell is an essential for today’s marketer. Marketing software can help companies scale and automate important marketing processes of all kinds, from lead nurturing to data analysis to sales process optimization and beyond. Regardless of the software company behind it, these solutions are typically designed to help companies save time, identify opportunities, and close the gaps internally or externally that keep them from achieving their goals. Unfortunately, many companies are not optimizing their usage of marketing software. Striking down opponents with your ninja online marketing skills can provide a sense of satisfaction that many marketers crave. However, there is danger in focusing all of your efforts on the front end of the customer buying cycle. Much like personal relationships, business relationships take effort. What are you doing this year to ensure you’re keeping your conversion funnel full and forming meaningful relationships? What happens when an organization puts 150 of their loyal social media fans in one room for a fantastic, exclusive experience? Brand building and social reach magic, judging by the results of February’s #NASASocial. How do you make your blog a content marketing magnet? 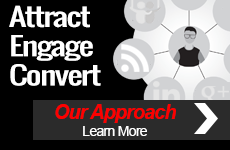 Social Media Examiner shared seven tips for more engaging blog content, using TopRank® Online Marketing’s 29 Content Marketing Secrets and the Secret Agents Who Shared Them eBook as a great example of killer content. The Promotional Products Association International reviewed advice from TopRank® Marketing Manager Ashley Zeckman this month for their Promotional Consultant Today blog. Zeckman offered tips and advice to help companies turn employees into brand advocates, who have an average of 200 to 500 people in their social networks and recommend an average of nine brands in one year. Lee Odden, alongside Jeanniey Mullen from eBook company Zinio, appeared in a recent webinar to discuss Social Media 2013: What Sites Are Most Important to Marketers This Year. Lee highlighted the importance of B2B marketing through social media in the second half of the webinar. See more from the Act-On blog. Content Marketing Manager Miranda Miller had the opportunity to attend an invitation-only event at NASA Headquarters in Washington, D.C., as part of Social Media Week. The 150 attendees chatted with three astronauts live on the International Space Station, each of whom have used social media to share knowledge and build their personal brands from space. Participants were treated to behind-the-scenes looks at both NASA and the Smithsonian Air and Space Museum. Lee Odden shared his presentation Creative Content Marketing – Winning Hearts, Minds & Wallets to a full house at SES London, Europe’s largest digital marketing conference. He featured UK-specific examples of brands excelling in content marketing and outlined the opportunities for others. 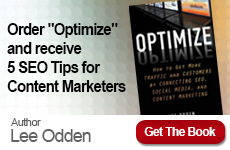 Finally, attendees learned the roadmap they need to take them to content marketing success. –Anika Davis, from Where Does Evergreen Content Fit In Your Company Blog Content Plan?